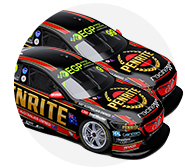 David Reynolds was in disbelief after leg cramps cruelled his bid for back-to-back victories in the Supercheap Auto Bathurst 1000. The Erebus Holden of Reynolds and co-driver Luke Youlden started from ARMOR ALL Pole and commanded the bulk of the 161-lap race. However, the timing of a Safety Car period meant the primary drivers had to undertake a triple-stint to the flag, which proved too much for Reynolds’ body. 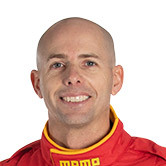 He lost the lead to Craig Lowndes on lap 135, complaining to his crew via radio shortly afterward that he had “the world’s f***ing biggest cramp in my leg of my life”. After much radio discussion between driver and team, Reynolds remained in the car at the final stop, receiving a specially formulated drink to keep him going. The pitstop was a disaster, however, as Reynolds' cramping leg could not hold the clutch in, resulting in the rear wheels spinning while the car was on its jacks. Reynolds returned to the track in an effective second place but was soon dealt a drive-through penalty which, after serving and rejoining seventh, he pitted again for Youlden. Limping away from the car with the assistance of a crew member, Reynolds held his head in his hands as he was comforted by his team. “I’m so, so devastated. We had the fastest car all day and then my leg was cramping, big time,” he said. 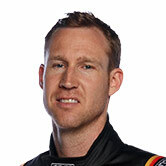 “When Lowndes passed me I was at 50 percent throttle, I couldn’t tell if I was on the brake or on the throttle. Asked when the problem started, he added: “Probably the first 15 laps, I wasn’t mentally there, I was just lost and then my body gave up after that. Reynolds had spoken of a hectic scheduled and a lack of sleep due to anxiety earlier in the weekend. Youlden crossed the line 13th in the Penrite Commodore.